The Alliance holds the values and aspirations of the foot-centred professions, representing the independent practitioner in matters that could affect occupational or professional standing. By update, skill enhancement and regulation of members, the Alliance protects the public. The Alliance has Podiatrist and Foot Health Practitioner members. 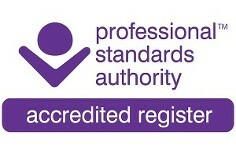 Podiatrist members are HCPC registered. Foot Health Practitioners are listed on the Alliance-maintained Accredited Register of Foot Health Practitioners. Thus, all Alliance members are listed on a register overseen by the Professional Standards Authority for Health & Social Care, an arms-length body of the Dept. of Health that reports directly to Parliament. All Alliance practitioners are full members, because all practitioners have the same need of advice, development, protection and Continuing Professional Development.